Taking up a new sport is a wonderful hobby. Not only do you get to learn new skills, engage the muscles in different ways, and challenge yourself on a new field, you are also putting your time towards something positive and productive. Tennis is a great sport to take up and one that will have lifelong benefits. 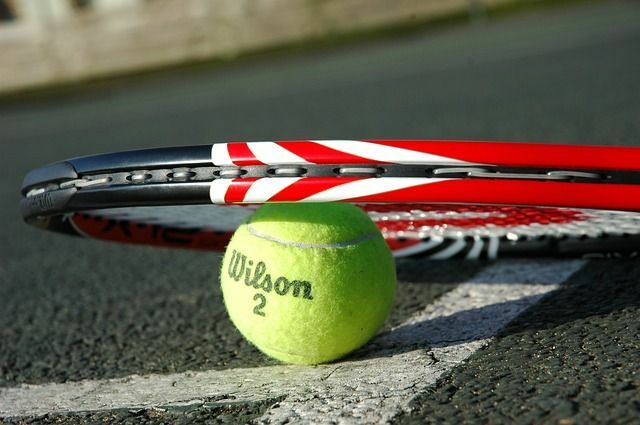 Learning the correct techniques at the beginning of taking tennis is fundamental to the success of the sport. The body has a lot of muscle memory that takes place when you learn a new skill. Muscle memory is when the bones, muscles, and joints remember a certain action. This is why it is fundamental to get the right movements and techniques when you first start playing tennis. Otherwise, it can become frustrating and demotivating to reteach your body the correct movements. When you first start playing tennis, there are many things you need to pay attention. These 4 handy tips will help you to focus and concentrate on learning, improving, and staying motivated for tennis when you are beginning. First thing first, there is no point teaching your body a new skill and gaining new muscle memory if you don’t have the right equipment. Tennis is something that requires an important tool and this is the racket. When selecting a tennis racket, it is important to choose one that fits your size and grip, not just the cheapest. Make sure you ask for advice from a sales professional when buying a tennis racket to help you get the most comfortable and practical one for you. Once you start having some practice shots with your new tennis racket, it is important to know where to hold the racket to hit the ball. Rather than blindly whacking the racket in the air and hoping to hit the ball, get used to holding the racket in the correct position from the get-go. You should aim to hit the ball at waist height. To get used to this height and rhythm, practice the motion of the moving the racket around, both forehand and backhand, at this height. Before each session, practice this movement before the balls start flying at you. Tennis uses a lot more muscles than you might first think. Not only are your legs constantly moving, but also your arms and hands are doing a lot of work. It is really crucial to successfully playing and enjoying tennis that you take time to warm up and cool with some stretches and movements before hitting the court. This will also help to improve your mobility and flexibility while playing. A lot of the skill of tennis is in the feet. You need to constantly be on your toes, move from place to place, and be prepared to put one foot in front of the other to hit the ball. Before each practice of tennis, it is worth taking some time to familiarize yourself with some steps. For instance, one day you can practice the footwork for a forehand position. Then next session, learn about the backhand footwork positioning. Then, move on to serves and volleys. Taking each footwork one step at a time (quite literally) will help your body tune itself to the movement that it needed from head to toe for each swing of the racket. So what are you waiting for? Start taking tennis lessons with Future Sports Academy today! We provide kids, adult, private and corporate tennis programs that are suitable for all levels. Previous Previous post: 5 attributes of a good tennis coach and choosing the correct one for you!